In order to be able to reach other people, it is necessary for an artist to be connected with her/himself first. Under the personal layers are the timeless, placeless, nameless stories common to all of us. To touch is what an artist does. Kissing is generally understood as an act of affection or love between two people. In my work the object as an person is absent or otherwise unreachable. The sexual side of kissing has been replaced by seemingly monotonic repetition. There is no interaction with an another person, but personal, lonely rituals. 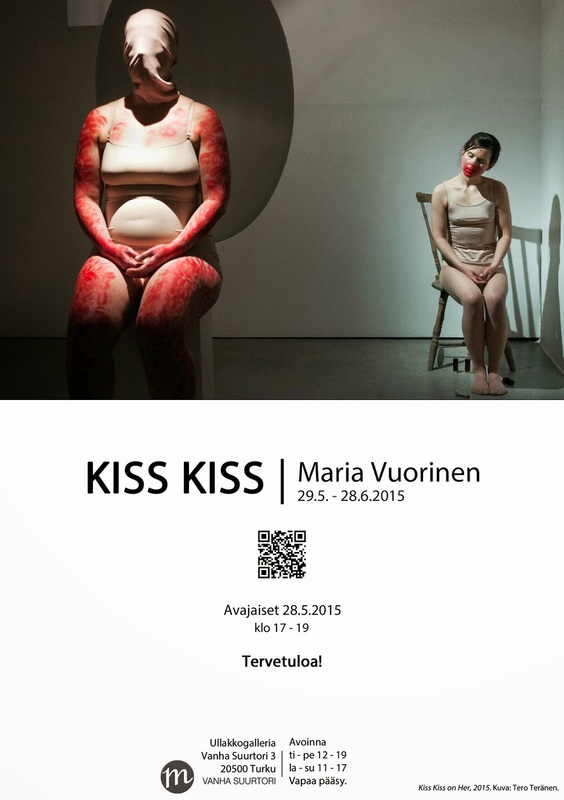 Kiss Kiss at Mannerheimintie (2014, video documentation) performance took place at The Night of the Arts in Helsinki. I step into the Galleria Seinäs’s display window beside the heavily trafficked Mannerheimintie. People are passing by, stopping, wacthing, not noticing. I kiss the window until the world on the other side dissappear from me, me from the world. Kiss – a classic sign for love and affection has become its opposite. Kiss Kiss at Mannerheimintie is a part of the series Kiss Kiss. Other art works including: Kiss Kiss on Her (2015, video documentation), Kiss Kiss on Objects (2015), Kiss Kiss on Me (2015, performance / video documentation). 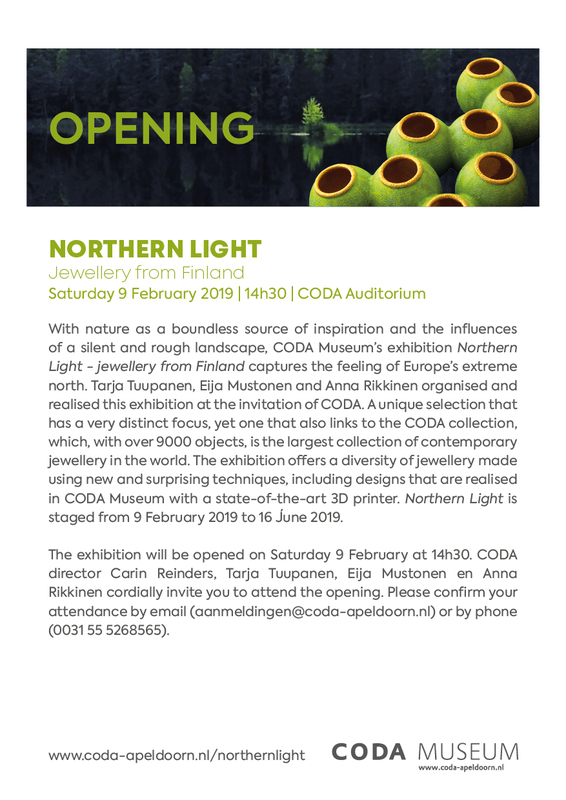 After being shown at Imatra Art Museum and at Vaasa Art Hall has Koru5, the triennial arranged by the Finnish Jewellery Art Association, arrived to its final destination, Kuopio Art Museum. From 363 applications from 44 countries were 51 artists chosen. The exhibition is open 10.6. - 10.9.2016 at Kuopio Art Museum, Kauppakatu 35, 70100 Kuopio. The opening hours: Tuesday- Saturday, 10 am - 5 pm. 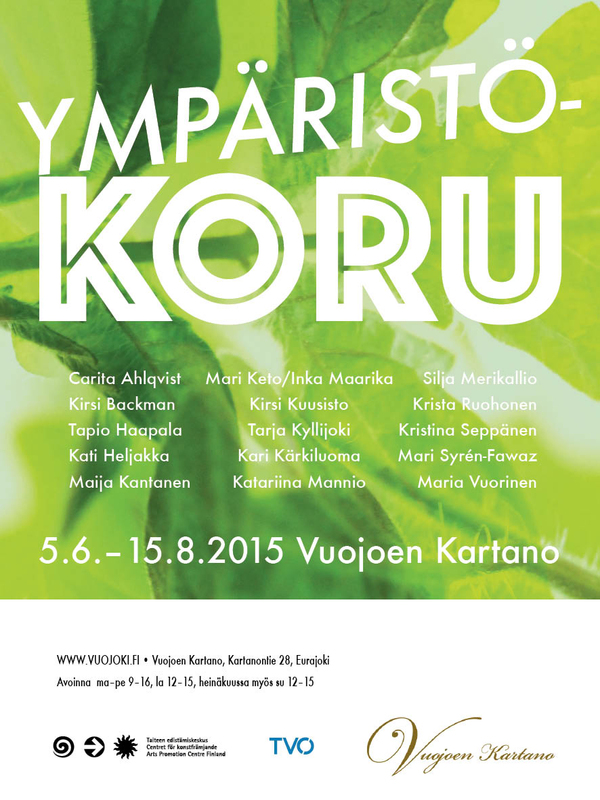 If you did't make it at Imatra, you can now visit the international KORU5 exhibition at Vaasa Art Hall. THE BEST OF THE JEWELLERY ART IN VAASA! 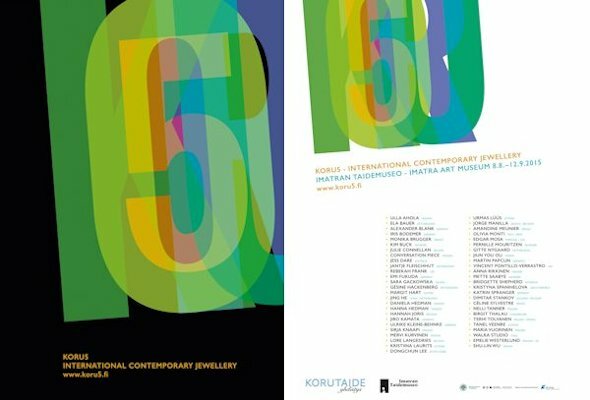 The international KORU5 exhibition is a wide high-class overview of the contemporary jewellery art. 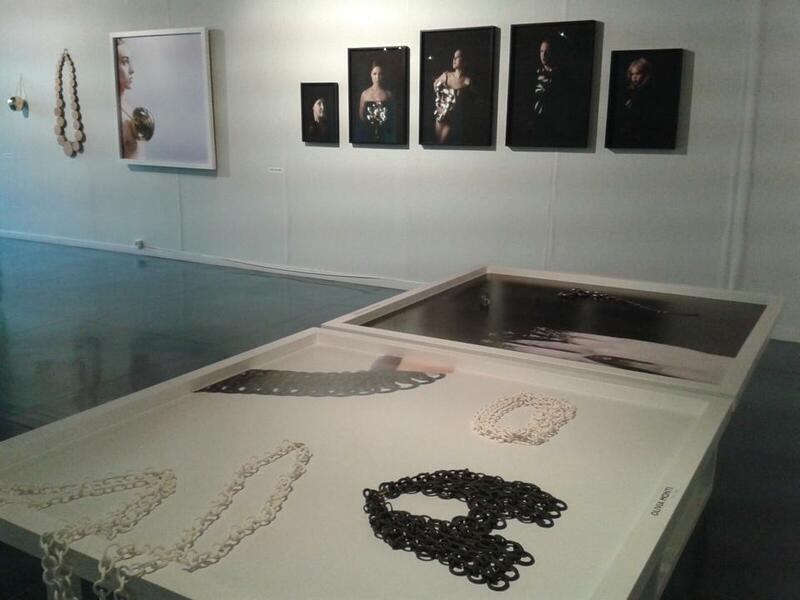 The triennial arranged by the Finnish Jewellery Art Association was organized in Imatra for the fifth time. 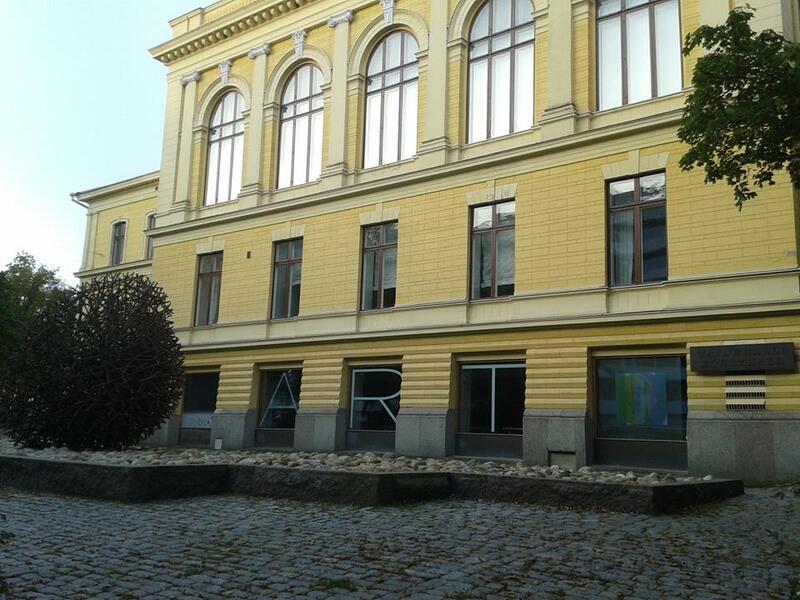 The related exhibition has now arrived to the Vaasa City Art Hall. The jury, consisting of the jewellery artist Helena Lehtinen, the crafts and design expert Katarina Siltavuori and the PhD in Art, researcher, the visual artist Jyrki Siukkonen, has chosen 51 jewellery artists from 44 countries from the total number of over 360 applicants. Jewellery art has often been considered as a part of the design and the arts and crafts. Contemporary jewellery art has more versatile identity: a jewellery artist can produce both art and objects that are seen as design or as arts and crafts. During the past couple of decades has the contemporary jewellery art shifted towards the contemporary art. The modern jewellery artists emphasize their artistic points of view instead of the material and the functionality. The techniques and the materials differ from those of the traditionally jewellery. Instead of gold and jewels derive the materials, such as photographs, often from everyday life. Instead of the sheer beauty are the emotions such as joy, love, fear, pain and aggression included. When compared to the traditional jewellery, holds the modern jewellery art messages and symbols more open for different interpretations. The viewer can add his own meanings. The exhibition is open until 29.11.2015. Open Tue - Fri 12 - 18, Fri - Sun 12 - 16, Mon closed. Photography: KORU5 & the Finnish Jewellery Art Association. 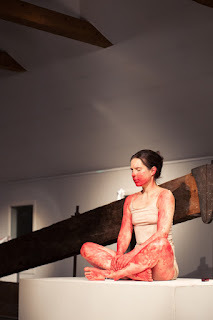 KORU5 @ the Imatra Art Museum until 12th September! 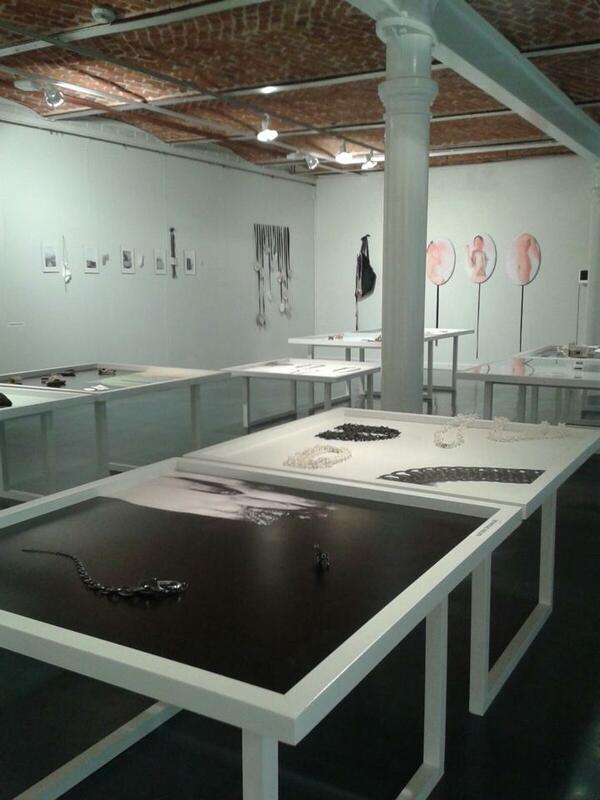 KORU5 is an international contemporary jewellery triennial organized for the fifth time. The main purpose is to present widely international contemporary jewellery and bring together the artists, lecturers, researchers and people with interest in contemporary jewellery to take part in exhibition, seminar and workshops. The start of the event will take place in Imatra, Finland, autumn 2015.
has graduated from Konstfack, Stockholm (MFA, 2006) and her work is based on somewhere between jewellery art and photography. She has studies also from Scotland (BDes(hons), 2003 / University of Dundee) and from Finland (BA, 2002 / Turku Arts Academy). She lives and works in Finland. Puurolautasellani, The Porridge on My Plate, is a blog about my other passion, porridge! 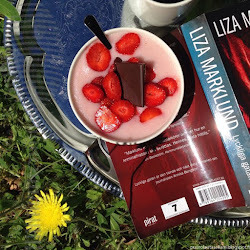 Click the picture and follow my daily adventures in the world of flakes and fillings @ http://puurolautasellani.blogspot.fi/! Maria Vuorinen. Simple theme. Powered by Blogger.